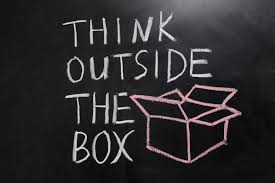 I once heard a speaker say that when someone tells you to “Think outside the box,” they are really saying, “Think outside your box, not mine.” When it comes to new ways of doing business, I often wonder how many communication professionals fall into this trap and dismiss new ideas and methods because they still are bound by the confines of someone’s box (usually a senior leader or communicator). Too often the answer is rather simple for a communication plan or marketing event, yet it is unnecessarily complicated by meetings, working groups and people who say that won’t work. In the end, communication is simple: Sender, message, receiver. Yet, I notice some cling to the past, news releases, pitches, talking points, counting column inches of copy. Others, jump into the future, Facebook, Twitter, incredible flashy graphics and web pages. I see these as boxes — one box of old school methods (analog) and one of new methods (digital). In the end, however, both boxes try to deliver the same intent, communication to a stake holder group. So why burn the box? Because in today’s environment, one can’t communicate in one box or the other. It takes a new way of thinking, using both traditional and new methods to reach diversified audiences. You have to think outside the box by burning it and removing the constraints that guide current thinking in corporate communication and PR offices. Stop having countless meetings and focus groups to communicate with stakeholders, remove the boxes and merge the two schools of thought (analog and digital) into what works for the group you are targeting. It really is that simple.